The most populous city in the United States, New York City (NYC), is a globally powerful city, situated in the Northeastern United States, in southeastern New York State, approximately halfway between Washington, D.C. and Boston. 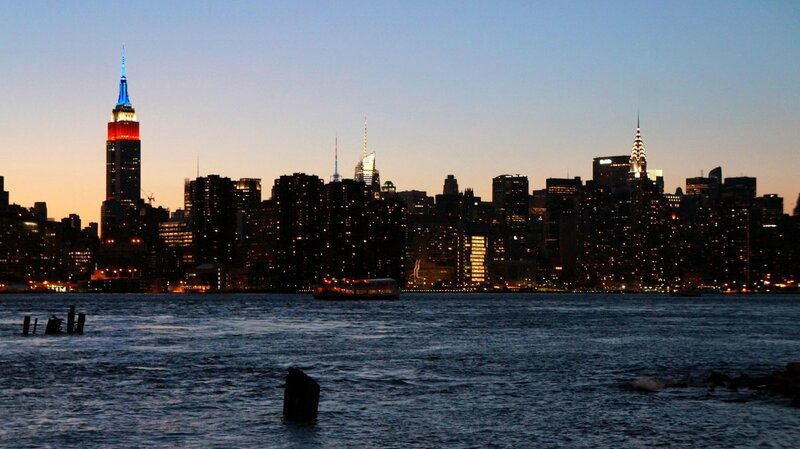 Located on one of the world's largest natural harbors, NYC consists of five boroughs, each of which is a separate county of New York State, Brooklyn, Queens, Manhattan, the Bronx, and Staten Island. Frosty weather and below freezing temperatures throughout the wintertime are common in New York City. On average, people in NYC do not experience temperatures above freezing during the entire winter season. That’s one reason why a WarmlyYours’ snow melting system is the perfect solution to keep your driveway, walkway or most any outdoor surface clear of snow and safe. 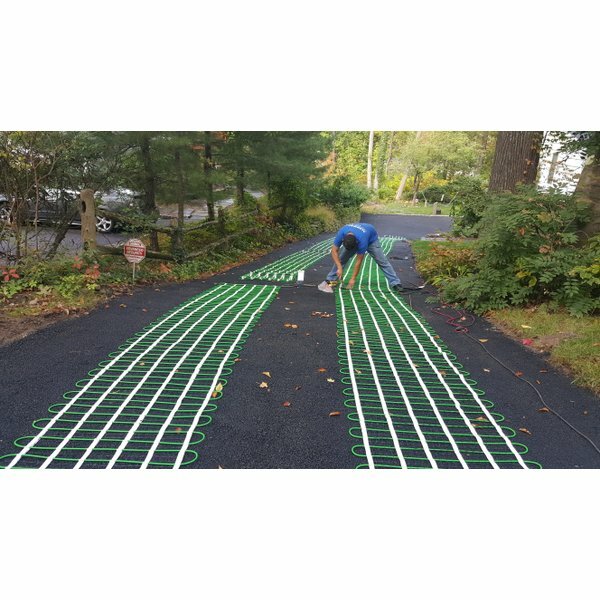 When this NYC homeowner needed to replace his driveway recently, he decided it would be a good idea to add a snow melting system underneath both the driveway and walkway leading up to his home. With severe winter weather in the Northeast, it had been necessary to dig out from several snow storms and he wanted to avoid that strenuous, back-breaking labor of shoveling in the future. See installation plan below. To heat 121 square feet of the concrete driveway/walkway it cost $1030.00 or the equivalent of $9.32 per square foot. He selected the snow melting cable option as it was flexible for installing his system along a curved pattern. Once he decided upon his system, it was time to add the control. There are numerous control options to pair with any snow melting system as noted below. From manual and economy to advanced and premium, there are a variety of snow melting controls to suit any budget and lifestyle. The WarmlyYours Manual Snow Melt Control is a simple, affordable option. This unit features a 12-hour, adjustable timer and a NEMA 1 enclosure with hinged cover. UL Listed, at 120 VAC operational voltage, the Manual Snow Melt Control is appropriate for use with relay panels. 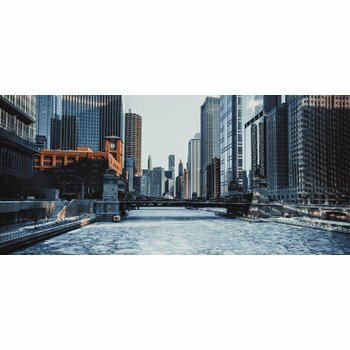 To minimize operating costs, another option is the Advanced Snow Melt Control that provides for advanced control of snow melting. With automatic and manual override operator controls, the Advanced Snow Melt Control includes an adjustable hold-on timer to continue heater operation up to 8 hours after snow and ice accumulation stop to ensure complete melting. You can compare all the snow melting control options on our products page. 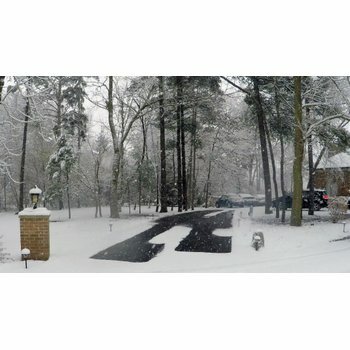 Springtime is the perfect time to install snow melting, so if you’d like to see what’s available and/or get a quote, just visit www.warmlyyours.com and check out our Instant Quote Tool. Simply enter some project details to get started. We also suggest you get a free installation plan to ensure your snow melting project goes smoothly from start to finish. 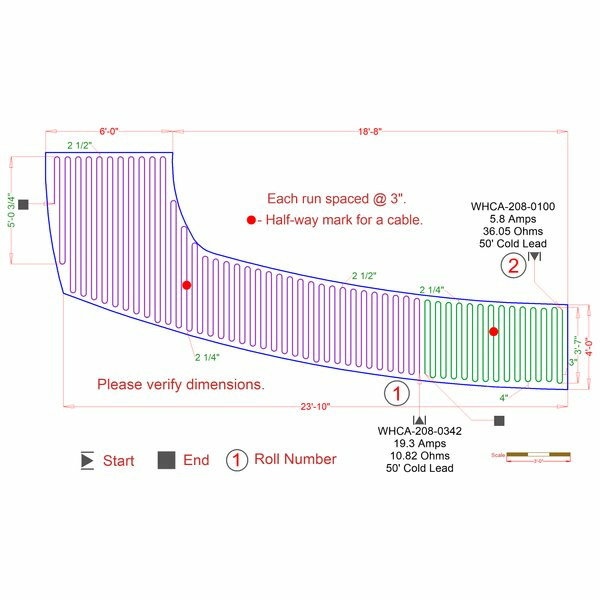 To get a custom installation plan for your project, you can submit a floor plan online, contact a WarmlyYours sales representative at sales@warmlyyours.com or simply call 800-875-5285. The snow melting systems are backed by our unbeatable 10-year warranty. Questions during installation? Not a problem. You have 24/7 access to our installation experts. Call them with any questions at 800-875-5285. 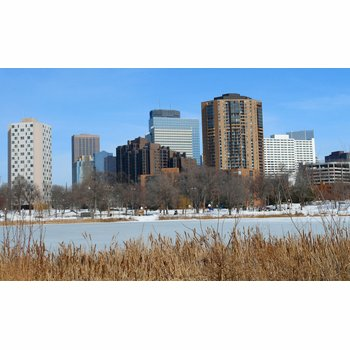 Since spring is the best time to install a snow melting system, why wait? Have you already installed a snow melting system under your driveway, walkway or patio? Tell us about it by sharing your story on the WarmlyYours Facebook page or tweeting us at @WarmlyYours. Previous Post Porcelain Tile: The New Gold Standard? Next Post What is America’s Heating Source of Choice?